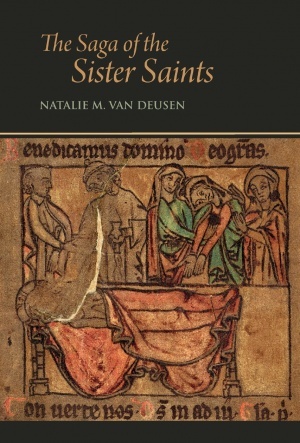 The historical study that opens the volume treats the manuscripts and Latin sources of the saga, lending insight into authorship and provenance; it also details representations of Martha and Mary Magdalen in liturgical materials, art, and literature from medieval Scandinavia, before turning to the saints’ cults and legends in medieval Iceland. All the available evidence for the “sister saints” in Iceland from its Christianization in 1000 until around the time of the Reformation in 1550 is analyzed in detail, especially evidence from church inventories (máldagar) but also from literary works in prose and verse, as well as from charters and letters. Special attention is given to issues of style and content in the saga and, in particular, to views on women preachers in medieval Iceland. Natalie M. Van Deusen is Associate Professor and Henry Cabot and Linnea Lodge Scandinavian Professor at the University of Alberta, where she teaches a variety of courses on Scandinavian language, literature, and culture. Her research interests include Old Norse and Early Modern Icelandic paleography and philology, manuscript culture, hagiography and religious literature, and gender studies. She is co-author with Kirsten Wolf of The Saints in Old Norse and Early Modern Icelandic Poetry (2017), and has published a number of articles and book chapters, primarily on the lives of saints in medieval and early modern Icelandic poetry and prose.